The Dean of Students Office is proud to offer Voices of Discovery, a program to promote awareness of diversity and expand the opportunity for cross-cultural and inter-group interaction on campus. 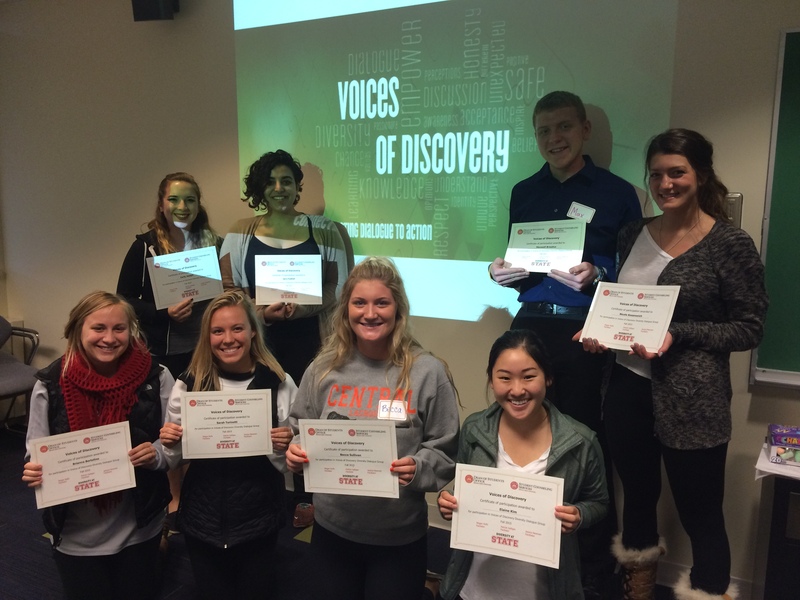 Voices of Discovery fosters meaningful interaction between students from different backgrounds. Through participation in the program students increase their understanding of themselves, the groups they belong to and of others who belong to groups different than their own. In the Voices of Discovery program students from different groups are brought together for an honest, reflective, face-to-face dialogue about diversity. The groups consist of 12 to 15 students from different identity groups and are guided by two trained facilitators. The group discussions focus on identity development, stereotyping, discrimination, awareness, and sensitivities. The students commit to meet for 1.5 hours a week for six weeks and then participate in a closing ceremony at the end of the 7th week session. This program will have sessions beginning February 2 and 3 of the Spring 2017 semester. Voices of Discovery provides a wonderful opportunity for students to apply much of the multicultural/diversity knowledge they gain in the classroom, and also provides an excellent training experience for students who complete the program may have the chance to be chosen to become facilitators. To be considered for one of our upcoming groups, please complete this application.